1. 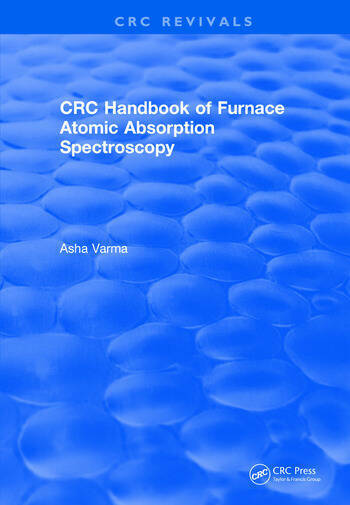 Furance Atomic Absorption Spectroscopy (FAAS) 2. General Instrumentation 3. Alkali Metals (Cesium, Lithium, Potassium, Rubidium, Sodium) 4. Aluminum. Antimony 5. Arsenic 6. Barium 7. Beryllium. Bismuth 8. Boron 9. Cadmium 10. Calcium 11. Chromium 12. Cobalt 13. Copper 14. Gallium 15. Germanium 16. Gold 17. Indium 18. Iron 19. Lead 20. Magnesium 21. Manganese 22. Mercury 23. Molybdenum 24. Nickel 25. Phosphorus 26. Platinum Group Metals (Iridium, Osmium, Palladium, Platinum, Rhodium, and Ruthenium) 27. Rare Earth Elements (Dysprosium, Erbium, Europium, Gadolinium, Holmium, Lanthanum, Neodymium, Samarium, Terbium, Thulium, Uranium, Ytterbium, and Yttrium) 28. Rhenium 29. Selenium 30. Silicon 31. Silver 32. Strontium 33. Sulfur 34. Tellurium 35. Thallium 36. Tin 37. Titanium 38. Vanadium 39. Zinc 40. Clinical Analysis 41. Heavy Metals 42. Miscellaneous Analysis 43. Trace Elements 44. Wear Metals. Appendices. Index.